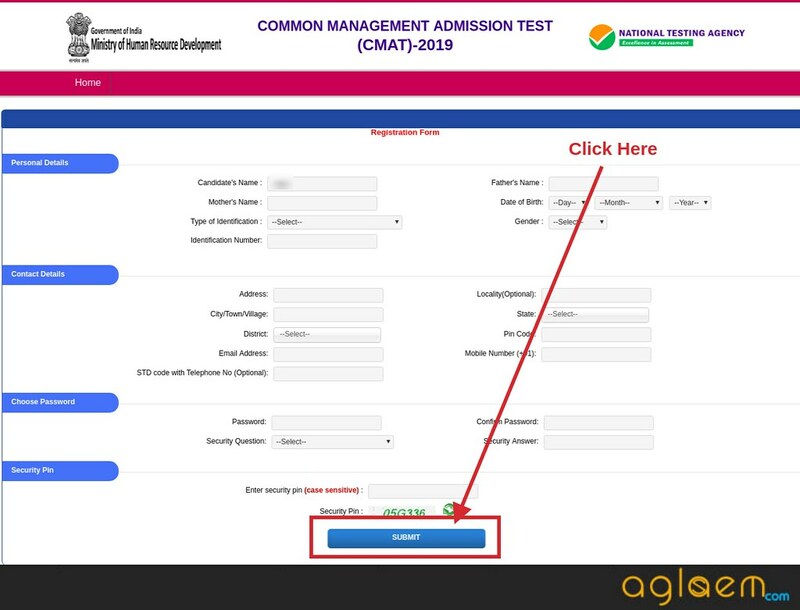 CMAT 2019 Registration has started since 1 Nov 2018 at 11 AM. 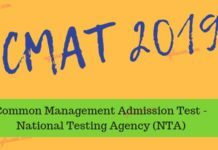 Last date to do NTA CMAT Registration 2019 is December 07, 2018. 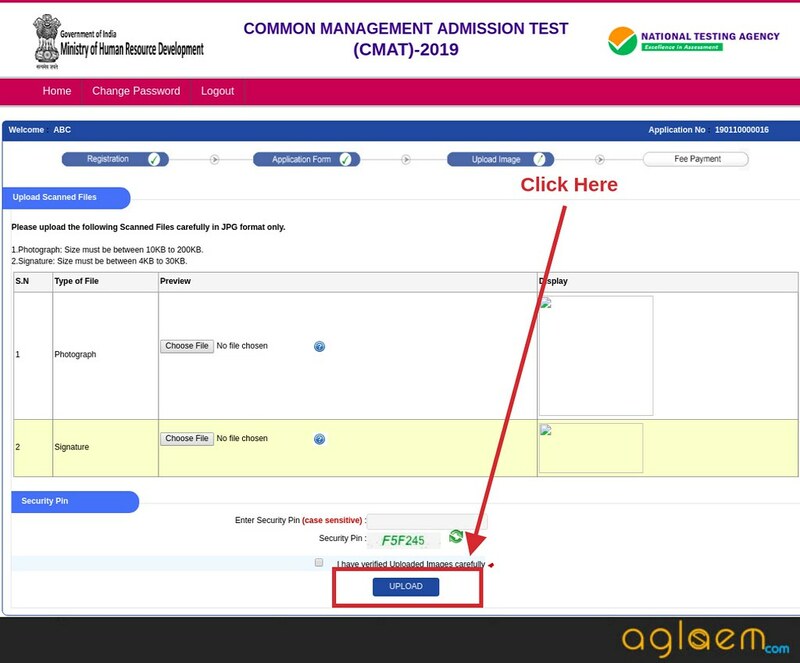 Process of registration for Common Management Admission Test (CMAT) is completely online at ntacmat.nic.in. Candidates must enter correct and verifiable details in application form. Documents instructed by National Testing Agency should be uploaded in the online form. Thereupon, applicants should pay the requisite application fee (Rs 1400 / Rs 700) on time and submit the form. 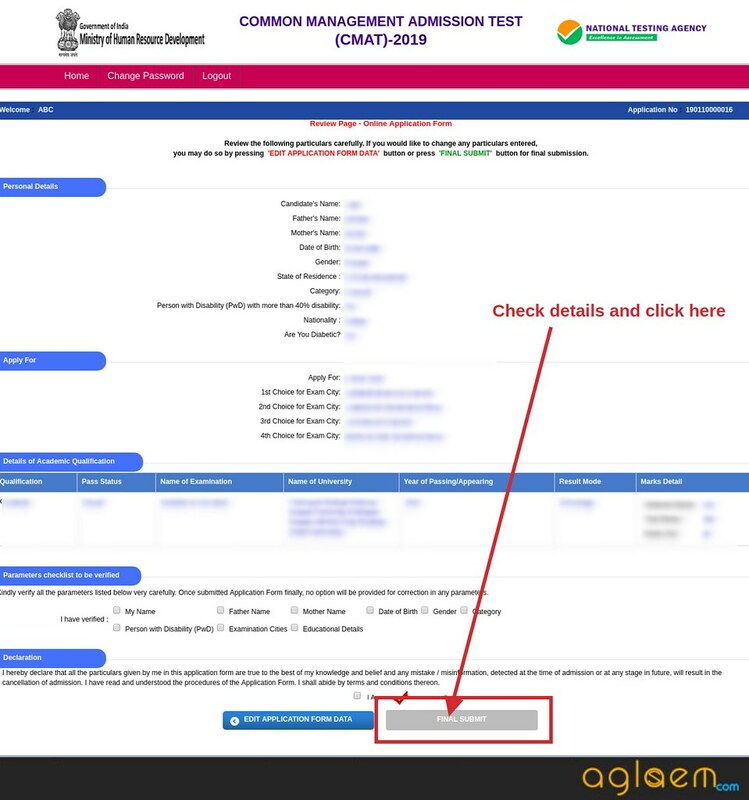 Those who apply online before last date will be able to download admit card of CMAT 2019 at official website from 07 Jan 2019. NTA will conduct CMAT exam at more than 100 centres in India on 28 Jan 2019. 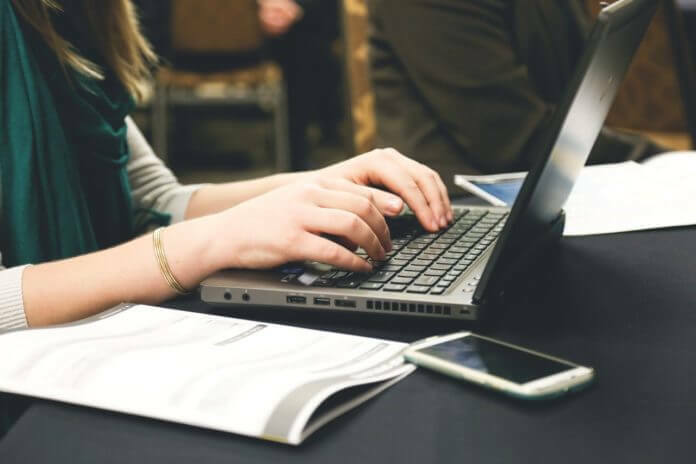 Get complete details of CMAT 2019 Registration including how to apply, fees, and other information. 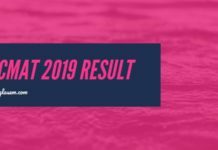 Latest: CMAT 2019 Login for Image Correction is now available. Scroll down to access the link. 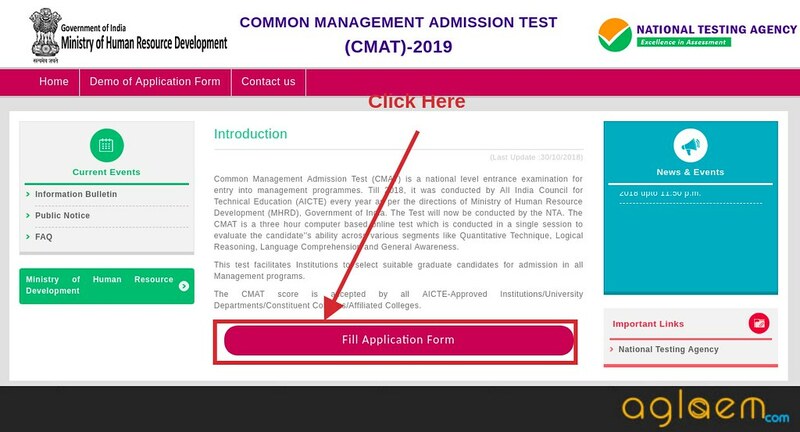 Interested and eligible candidates can register for CMAT 2019 as per schedule. It is advisable to fill and submit application form without waiting for last minute as last minute registration often leads to mistakes. 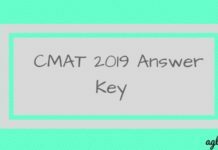 Check complete schedule given below to know all about CMAT 2019 Registration Dates. 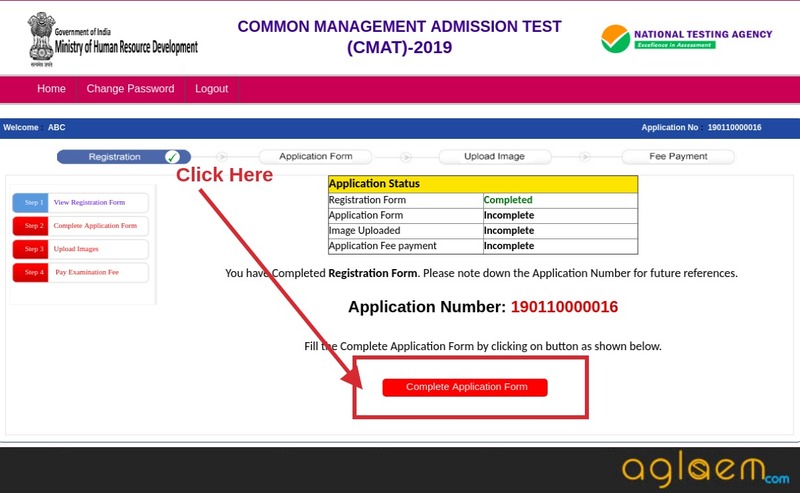 Application Form: Click here for CMAT 2019 Registration and Login for Image Correction. 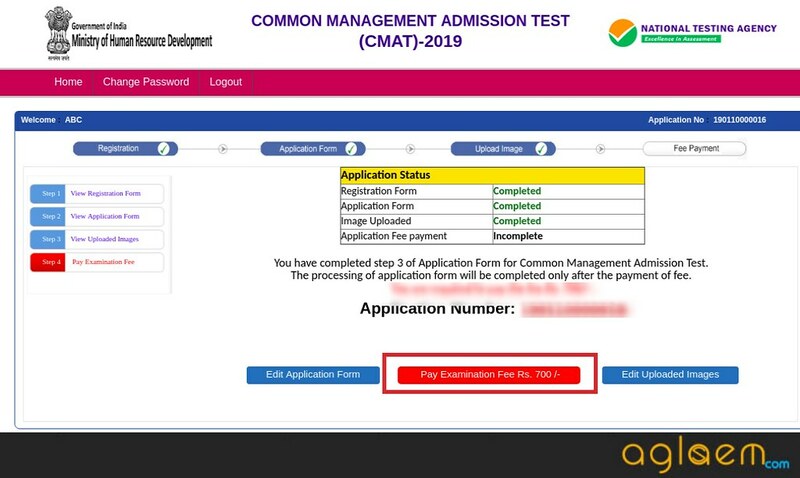 The NTA has kept its promise of not increasing application fee for CMAT 2019. It has thus remained same as last year. Hence, the aspirants will have to pay the following amount of fee to submit the CMAT 2019 Application Form. General/ Non creamy layer OBC: Male – Rs 1400, Female – Rs. 700. SC/ST/PwD: Male – Rs 700, Female – Rs. 700. After that, a page will appear to you have the instructions and the process to fill the form. So, read the instructions carefully and then click on “Click Here to Proceed” Button. Security Pin: Now, you will have to submit the captcha as per the security purpose. After filling the details, click on the “Submit” button. Then you will get the pop up as the “Final Submission” or want to edit the details. Now, you will have to verify the details. If all the details are correct then tick mark and then click on “Final Submit” button. After that, enter the captcha and then click on the “Submit” button. 3. Upload Images: Here, you will have to upload the images in the specified format as give above. 4. Fee Payment: Now, you will have to pay the application fee as per the category. 5. 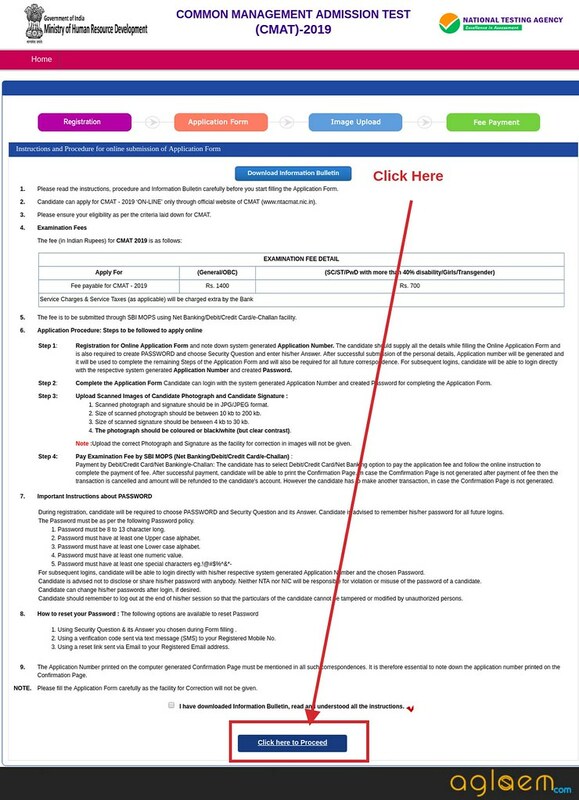 Download Confirmation Page: At last, the application form will be filled and then take the printout of it for the future use. 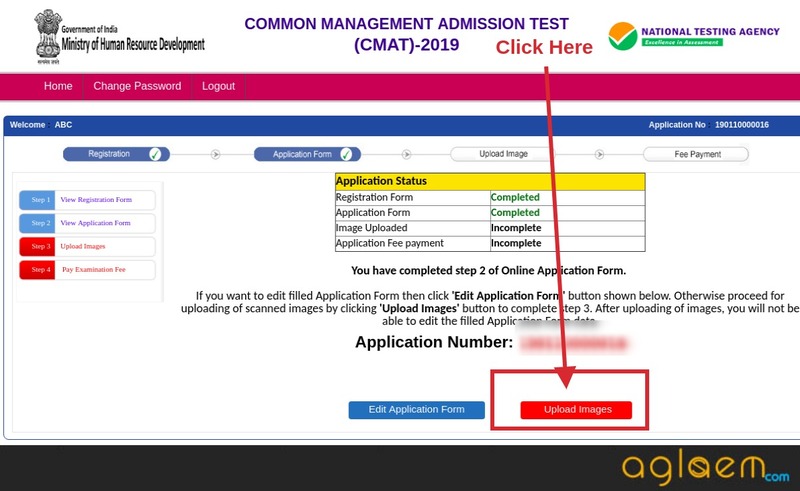 In the CMAT 2019 Application Form, the aspirants need upload the images as per the format and specification given in the table below. 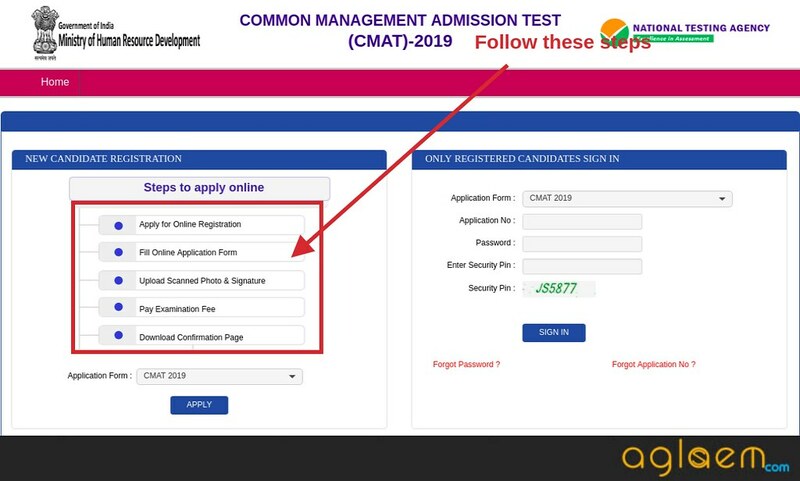 If you have any queries regarding CMAT 2019 Registration, please ask in comments below. 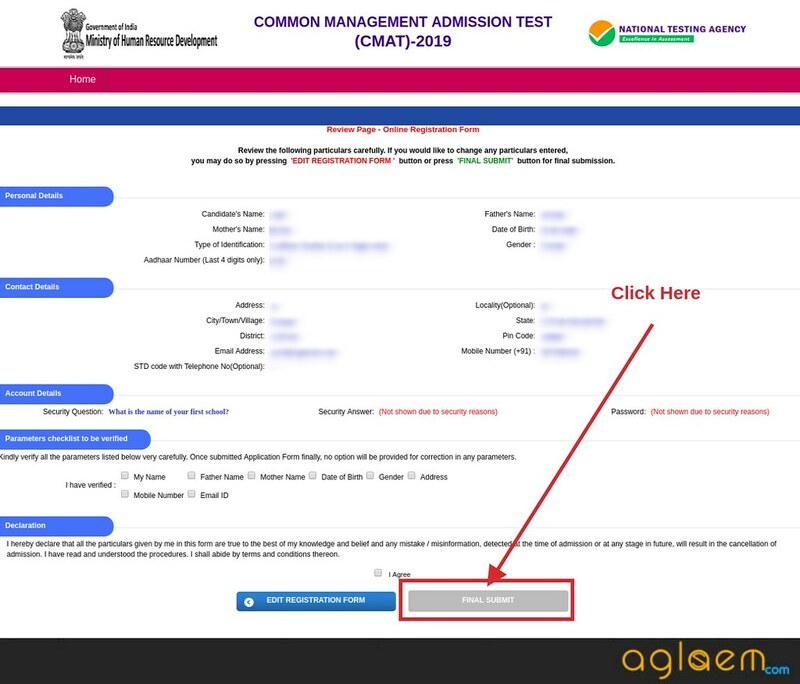 Is there any problem with NTA CMAT website. I am trying to register myself. But the moment I try to fill Identity type OR State or even try to submit the application, the next page appears showing “SESSION TIME OUT”. Is the website under maintenance? Please help. The last date for the CMAT is till dec 7,but the website is showing the online application proceedure is over. How can I regiser now ? is that possible to register? yes there is some issues with the website try it again later. I have completed my CMAT form . I have received message through that some discrepancy has been found out in your photo . and now when i login it cannot be solved saying that date has past. As i know i have uploaded same photo till now in all exams .What should i do now? i am afraid that they will reject my application . I am calling them since 2 days but they are unresponsive every time it comes as busy only. hey Vaibhav don’t worry about it and try again contacting them and if they won’t reply you then I can suggest you to apply again if you you want. Hi i have entered the candidate name as per my marksheet as mentioned in the form. But i have photo id proof with a surname change because of marriage. Will it cause a problem during verification process at exam center? Should i refill the form with name as per photo id proof? hey yes you can edit it now hurry up tomorrow is the last day.